When Will I Get My CD Covers? 4,000 and under CD Covers: Ships or ready for pick up in 2 business days from proof approval. Over 4,000 CD Covers: Ships or ready for pick up in 5 business days from proof approval. CD cover printing brings designs to life! When you want a full-color CD cover design to come to life, print online with 48HourPrint.com. You can rest assured that you are getting high quality CD printing - and more for your money. 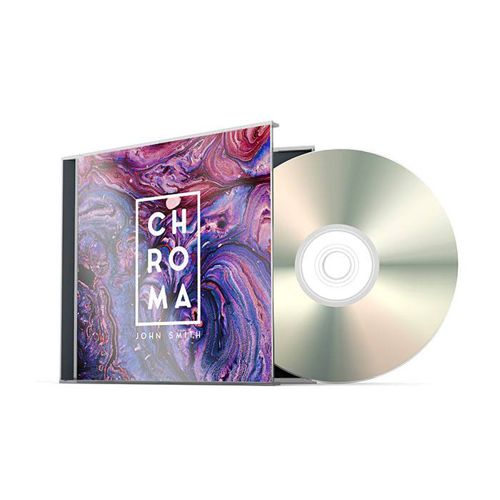 Our online CD cover printing services also come with our industry-leading 48 Hour Turnaround Guarantee for quantities of 4,000 or fewer covers. CD covers are eye-catching ways to showcase your music, presentation, training class or promotional compact disc. CD cover printing lets you add promotional messages, logos, a table of contents, liner notes, and other information to the front of the case. Complete your promotional package with CD booklet printing and CD tray card printing for the back of the case, or choose CD Wallet printing. Preserving the environment is important to 48HourPrint.com. Our CD covers are printed on recycled paper, which delivers excellent CD cover printing results on paper that is brighter and more uniform in color. CD covers - full color on both sides with free gloss coating or matte coating - are printed on high quality 100# text stock with single (2 pages) or double (4 pages) panels that seamlessly fit into a standard case.